Fluffy pumpkin buttermilk pancakes have everything you love about traditional buttermilk pancakes, with the addition of pumpkin and spices! Welcome to Day 3 of #PumpkinWeek! Did you read about the giveaway prizes and enter to win yet? If not, click on over to Monday’s post to get all the info you need. 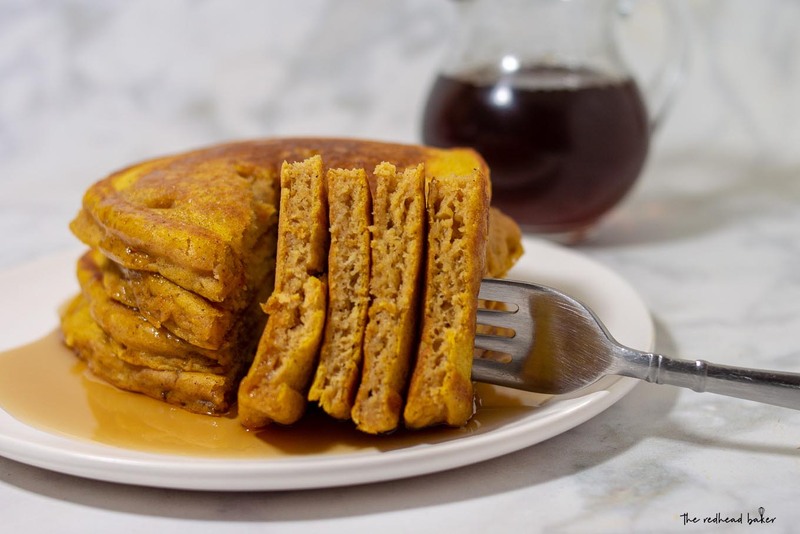 This might be one of my favorite #PumpkinWeek recipes ever. I love pancakes, particularly fluffy buttermilk pancakes. So, why not make a pumpkin version? 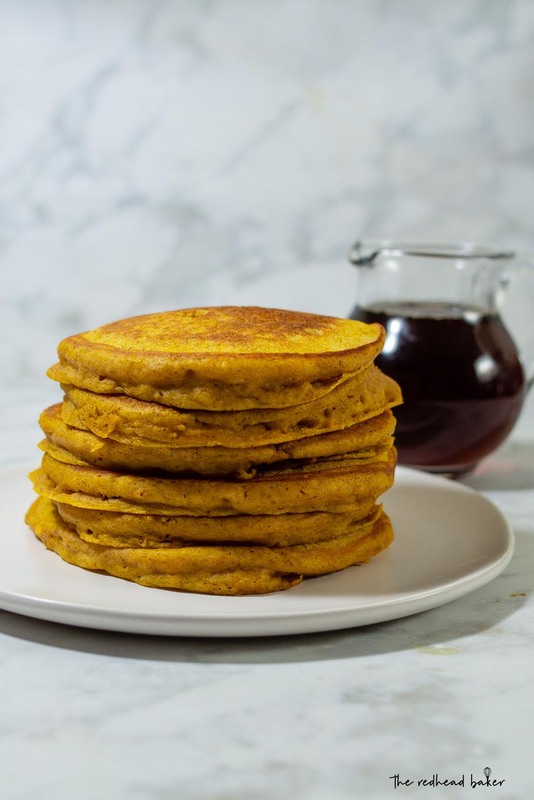 I’ve made pumpkin pancakes from a boxed mix before, but these are so much better! Making pancakes from scratch is not more much work than making them from a mix. You just have to mix together the flour, sugar, leavening and spices yourself. The key to fluffy pancakes is to NOT overmix them. Unlike most other batters, it won’t be smooth. There should still be some lumps. 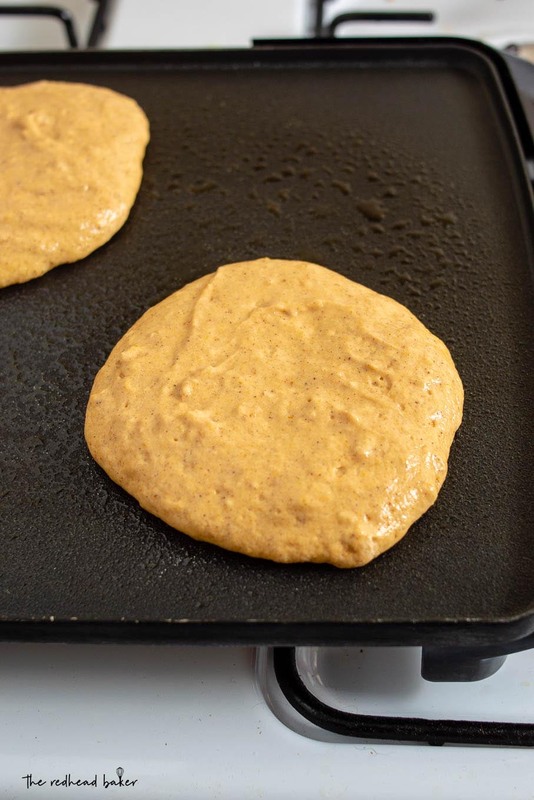 The more you mix, the more gluten you create, and that means tougher, flatter pancakes. These pancakes hardly even need any butter—just a drizzle of pure maple syrup. 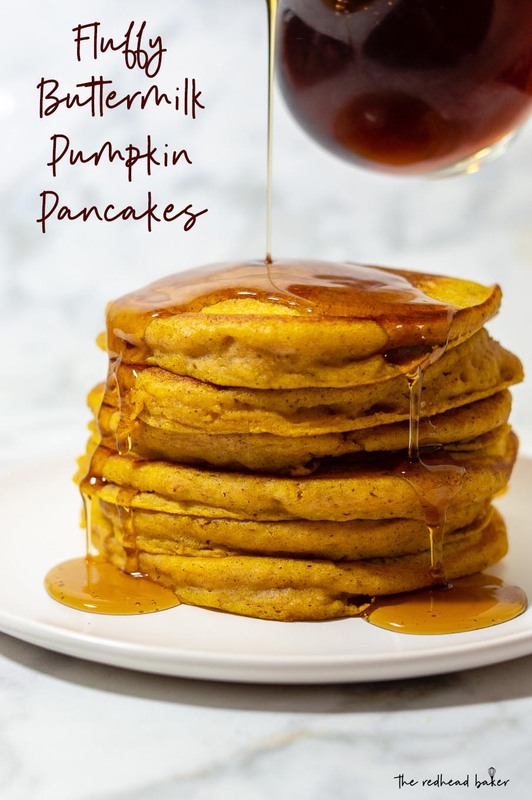 I love making these for “breakfast for dinner” on chilly autumn nights along with bacon or maple sausage. These pancakes also freeze wonderfully between sheets of wax paper, stored in an airtight zip-top bag. The next time I make these, I plan to make a double batch and freeze half of them for weekday breakfasts during the autumn and winter. Preheat an electric griddle to 300 degrees (or set a griddle pan on your stovetop over medium heat). In a mixing bowl, whisk together the flour, sugar, baking powder, baking soda, spices and salt. 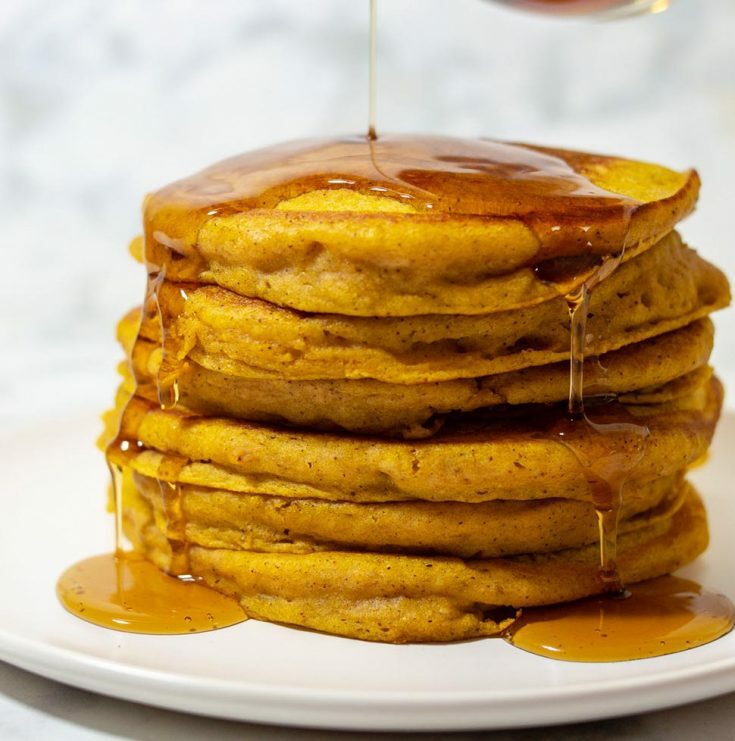 In a separate bowl, whisk together the buttermilk, pumpkin puree, eggs and vanilla. Pour the wet ingredients over the dry and stir until almost completely combined. Your batter should still be lumpy. Spray the griddle with nonstick cooking spray and pour about 1/4 cup of batter per pancake onto the griddle, leaving space between each, and cook until bubbles begin to form, flip and cook until golden. Fluffy, Light and Delicious looking Pancakes.